OTTAWA, Ontario, Canada, April 13, 2011 (ENS) – Canada’s annual seal hunt opened Monday off northeastern Newfoundland in an area called The Front, but few sealers went to the ice amid low demand for seal pelts, poor prices and a European Union ban on seal products. In February, Canada mounted a formal challenge to the EU ban at the World Trade Organization. The government is also trying to open new markets for seal meat in China, but any agreements that are eventually reached in either case will not affect this year’s hunt. The Canadian Department of Fisheries and Oceans estimates the harp seal population this year is about nine million animals, or about four times the size it was in the 1970s. 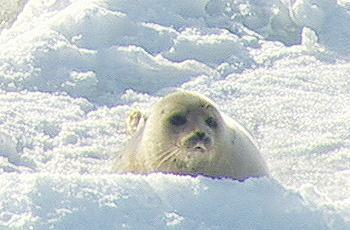 The agency set this year’s quota for the harp seal hunt at 400,000 animals, the highest quota set since 1971. Dwight Spence of Port au Choix on Newfoundland’s Northern Peninsula told the CBC that he and the other sealers he knows say prices are too low for them to make a profit this year after paying for fuel and supplies. 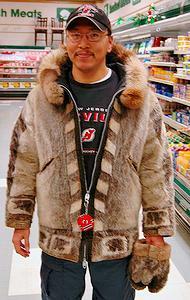 The sealers earn about $21 for each top-quality pelt, way down from the price level a decade ago. “The prices that’s there now, it’s just not feasible,” said Spence. In addition to pelts, sealers in the Magdalen Islands are collecting seal heart valves for medical research and meat for the restaurant trade. Only four boats went out and took a total of just over 1,200 seals before the ice completely disappeared – just one percent of the quota for that area. Members of the International Fund for Animal Welfare who are now off the coast of Newfoundland and Labrador to document the hunt say few sealers are on the ice there. “It is day one of the commercial seal hunt on The Front and only 27 boats have gone out,” Sheryl Fink, director of IFAW’s Seal Program, said Monday. “If hunting seals is a market-driven industry as many people claim, then why isn’t the Canadian government listening to what the market is saying and why are millions of tax dollars being poured into it?” she asked. Environmental groups have campaigned against the world’s largest seal hunt for more than 30 years, and now it appears a combination of climate change and economic change have combined to kill the hunt. In 2010, the landed value of the seal hunt was just over Cdn$1 million, yet an estimated $2.3 million in taxpayers’ money was spent to support it, said Fink. This year there is also a proposal to cut $84.7 million dollars from the budget of the Department of Fisheries and Oceans, making it more difficult to justify pouring money into support for the sealers, who come from a part of the country where jobs are not plentiful, especially during the winter. “This cruel hunt just isn’t worth it. Not from an animal welfare perspective, not from the perspective of the sealers and not from an economic perspective for Canadians,” said Fink. 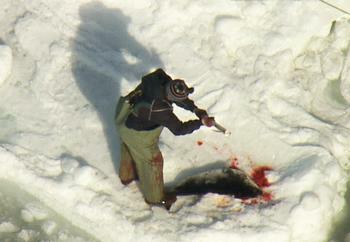 The Canadian chapter of Humane Society International took its opposition to the hunt to Ottawa as the seal hunt opened. The group broadcast bloody images of the seal hunt on a giant video screen outside the Canada-EU Comprehensive Economic and Trade Agreement negotiations Monday and continued on Tuesday. “The overwhelming majority of Canadians and Europeans oppose Canada’s commercial seal slaughter, and support the European Union ban on seal product trade,” said Rebecca Aldworth, executive director of Humane Society International/Canada. “The Canadian government’s WTO challenge against the EU ban flies in the face of Canadian and European values and threatens a trade deal that stands to benefit Canada’s economy by an estimated $12 billion annually,” said Aldworth, who has often spent time on the ice, documenting the hunt. But Members of the European Parliament say Canada’s WTO challenge is making them think twice about ratifying the free trade deal. “As long as Canada continues trying to force its barbaric seal fur trade on Europe, I won’t support a new EU-Canada trade deal,” said Keith Taylor, UK Member of the European Parliament. “How can the European Parliament ratify a Free Trade Agreement with Canada, if Canada doesn’t respect European animal welfare laws?” said Kartika Liotard, Dutch Member of the European Parliament. 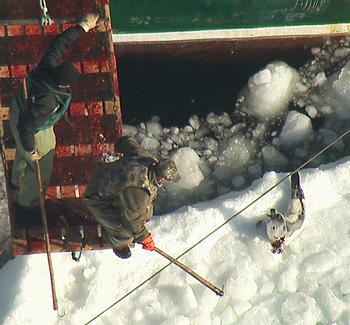 Canadian legal experts estimate the cost of the WTO challenge to be about $10 million – more than seven times the landed value of the seal hunt last year. National polling in 2007 and 2008 shows that an overwhelming majority of Canadians surveyed supported the right of the European Union to ban the seal product trade.